just reduced!! !EVERYTHING YOU CAN WISH FOR! 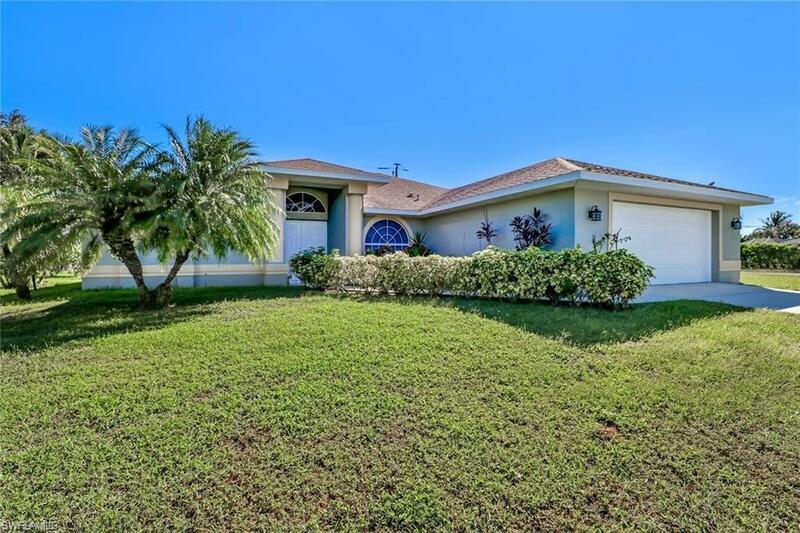 YOU MUST SEE THIS SPACIOUS , WELL CARED FOR 4 BED 3 FULL BATH POOL AND SPA HOME IN ONE OF THE MOST EXCLUSIVE AREAS OF SW CAPE CORAL IN UNIT 70. ALL ASSESSMENTS PAID!! CLOSE TO CAPE HARBOUR AND ALL THE WATERFRONT SHOPS AND RESTAURANTS .HOME HAS SOUTHERN EXPOSURE AND A HUGE DECK WITH PRIVATE YARD, POOL AND SPILLOVER SPA FOR WATCHING SUNSETS AND SUNRISES! COME SEE THE VERY SOUGHT AFTER OPEN CONCEPT FLOORPLAN AND A HUGE UNDER- TRUSS LANAI FOR YOUR OUTDOOR ENJOYMENT! THERE ARE GRANITE COUNTERTOPS, 42" CABINETS, AND STAINLESS APPLIANCES IN KITCHEN. OVERSIZED GARAGE AND LOT, AND HURRICANE SHUTTERS** OWNER TO INSTALL NEW STAINLESS STEEL STOVE/OVEN AND DISHWASHER PRIOR TO CLOSING.